Sci News reports scientific findings that ‘winds, the water content, and the cloud composition – are somehow connected to the properties of Venus’ surface itself’. Using data from ESA’s Venus Express spacecraft, European planetary researchers have shown how weather patterns seen in Venus’ cloud layers are directly linked to the topography of the surface below. Venus is famously hot. The average temperature on the Venusian surface is 864 degrees Fahrenheit (462 degrees Celsius). The climate at the surface is oppressive; as well as being hot, the surface environment is dimly lit. Ground-level winds are slow, pushing their way across the planet at speeds of only 3.2 ft/sec (1 m/sec). However, that is not what we see when we observe our sister planet from above. Instead, we spy a smooth, bright covering of cloud. This cloud forms a 12-mile (20 km) thick layer that sits 31-43 miles (50 – 70 km) above the surface and is far colder than below, with typical temperatures of about minus 94 degrees Fahrenheit (minus 70 degrees Celsius) – similar to temperatures found at the cloud-tops of Earth. The upper cloud layer also hosts more extreme weather, with winds that blow hundreds of times faster than those on the surface. While these clouds have traditionally blocked our view of Venus’ surface, meaning we can only peer beneath using radar or infrared light, they may actually hold the key to exploring some of Venus’ secrets. Researchers suspected the weather patterns rippling across the cloud-tops to be influenced by the topography of the terrain below. They have found hints of this in the past, but did not have a complete picture of how this may work – until now. Using Venus Express observations, a team of scientists from Europe has now greatly improved our climate map of Venus by exploring three aspects of the planet’s cloudy weather: (i) how quickly winds on Venus circulate; (ii) how much water is locked up within the clouds; and (iii) how bright these clouds are across the spectrum. “Our results showed that all of these aspects – the winds, the water content, and the cloud composition – are somehow connected to the properties of Venus’ surface itself,” said team leader Dr. Jean-Loup Bertaux, from the Laboratoire Atmosphères, Milieux, Observations Spatiales in France. 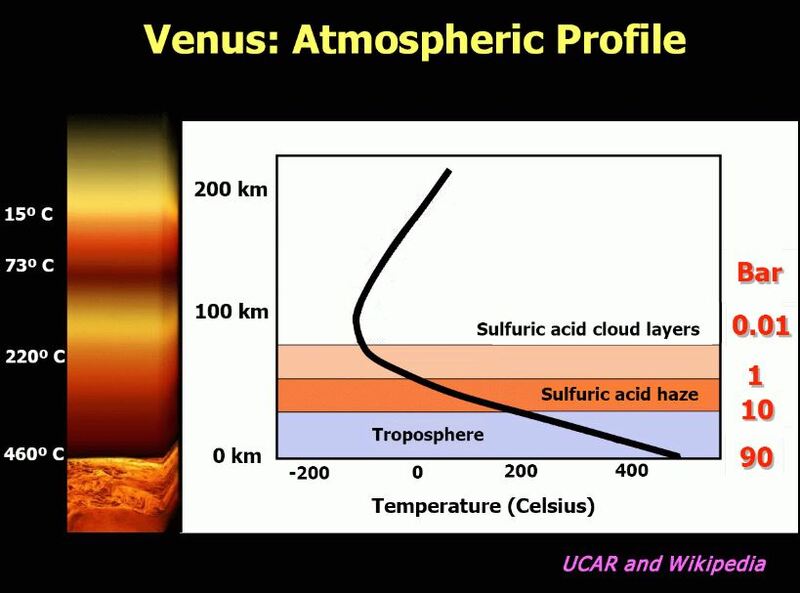 The team studied Venus’ cloud-tops in the infrared part of the spectrum, allowing them to pick up on the absorption of sunlight by water vapor and detect how much was present in each location at cloud-top level (43 miles altitude). They found one particular area of cloud, near Venus’ equator, to be hoarding more water vapor than its surroundings. This region was located just above a 2.8-mile (4.5 km) altitude mountain range named Aphrodite Terra. Be aware, all french scientists are steeped in the alarmist global warming. Although the winds at the surface are slow, they are composed of very dense atmosphere at 93Bar, so they contain a lot of kinetic energy and therefore momentum. That’s going to create turbulent waves higher in the atmosphere above surface features like mountain ranges. I’ll keep noting this and watching for sensible commentary from whoever can provide it (on this thread or any other thread) on why acknowledgement of the existence of geometry and spatial pattern gets shut off (some alternate reality trust-breaking scenario) when people talk about “W/m2”. Is the beloved “W/m2” the same windward and leeward of Venus’ Aphrodite’s Fountain or not??? There’s also something going on with Jupiter’s Great Red Spot. Jupiter’s Great Red Spot – a hurricane three times bigger than Earth – is blasting the planet’s upper atmosphere with heat, astronomers have found. Using measurements from an infrared telescope in Hawaii, a UK and US team found evidence for temperatures as high as 1,500C – hundreds of degrees warmer than anywhere else on the planet. 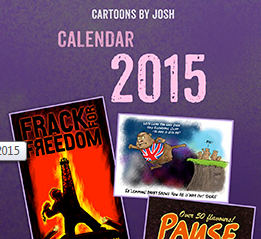 They suggest the hotspot is created by thunderous soundwaves “breaking” in the thin upper reaches of the atmosphere. “There is some evidence in Earth’s atmosphere, above storms and above features such as mountains – the Andes mountains in fact – that there are acoustic waves emanating from them, and that they propagate up into the atmosphere and cause heating there” – lead author of paper. In this image the auroral arc dims over land. Yet the polar regions are far colder.